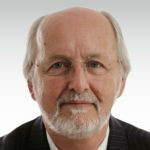 Engelstad, Alan is adjunct professor at the Desaultels Faculty of Management, McGill University, where he teaches catalytic change strategies at the International Masters in Health Leadership. For over 20 years, Alan has advised private, health and social sector executives on how to achieve ambitious ends by minimalist means. Since first reading Saul Alinsky's Rules for Radicals while studying Public Health at the University of Minnesota, he has been fascinated by the many questions surrounding change in society and organizations and has been equally frustrated by the usual answers. This led him to reconsider how situations persist and change and to seek more effective ways to extend executive leverage and reach. Langley, Ann is Professor of Strategic Management at HEC Montréal, Canada. She worked for several years as both an analyst and consultant in the private and public sectors. Her early research centered on the roles of formal analysis in strategic decision-making. Her current work focuses on strategic change and various dimensions of the practice of strategy. Dr. Langley is co-founder of the Strategy as Practice Study Group at HEC Montréal and Adjunct Professor at the University of Montreal and Norwegian School of Economics and Business Administration. She has published over 50 articles and two books. Patwell, Beverley is founder and principal of Patwell Consulting, an organizational development practitioner, consultant, professor, author and executive coach. Beverley is dedicated to helping people learn, lead and work together to achieve meaningful change that addresses business needs, delivers results and positively impacts the world. Beverley has a Masters Degree in Applied Social Sciences-Human Systems Intervention and is a certified Executive Coach. She is a partner with CoachingOurselves, ExperiencePoint, an associate coach with the Niagara Institute and teaches Change Leadership Essentials at Mendoza College, Stayer Center for Executive Education at the University of Notre Dame and Designing Change at Queen’s University IRC Program. She is also the author of Triple Impact Coaching: Use of Self in the Coaching Process and several articles and tools on leadership, change and coaching. Beverley lives in Victoria, British Columbia Canada. Zimmerman, Brenda was a professor of Strategic Management at the Schulich School of Business at York University in Toronto, Canada and the founder and Director of the Health Industry Management Program. Her primary research applied complexity science to management and leadership issues in organizations. She co-authored two books. Jennings, Charles is co-founder of the 70:20:10 Institute and a director of The Internet Time Alliance, a multinational think-tank of learning and business performance practitioners helping organizations exploit emerging practices and informal and social learning. He specializes in the change processes required to extend learning into the workflow to improve individual and organizational performance. His background includes roles as Chief Learning Officer for Reuters and Thomson Reuters and as a business school professor. Wagner Weick, Cynthia is presently Professor of Management at University of the Pacific in California. She was in strategic planning and new business development at Pioneer Hi-Bred International, served as a consultant to the United Nations Development Program, and was a Research Scientist at Battelle Columbus Laboratories. She has published articles in the areas of managing technology and innovation, the economic role of independent inventors, and the use of metaphor in strategic management. She has also authored a book entitled Out of Context: A Creative Approach to Strategic Management. 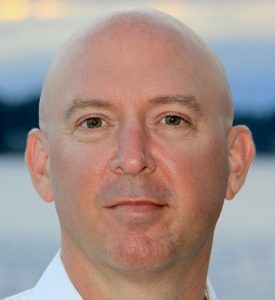 Dan Pontefract is Chief Envisioner of TELUS Transformation Office, a future-of-work consulting group that helps organizations enhance corporate culture, leadership, purpose, learning and collaboration practices. Has has presented at multiple TED events and writes for Forbes, Harvard Business Review and the Huffington Post. He is the author of FLAT ARMY: Creating a Connected and Engaged Organization. Ulrich, Dave is a professor of business at the Ross School of Management, University of Michigan. He is also founder/partner at The RBL Group (www.rbl.net). Dave has written 15 books and hundreds of articles on defining and shaping organization's talent, leadership, change, learning, and human resources capabilities. He has consulted on these issues with over half of the Fortune 500. Cooperrider, David is the Fairmount Minerals Professor of Organizational Behavior at the Weatherhead School of Management, Case Western Reserve University, Cleveland, Ohio, and founder and director of the school’s Center for Business as an Agent of World Benefit. He has served as advisor to a variety of organizations, with most projects inspired by his Appreciative Inquiry method. David has published 14 books and authored over 50 articles. Creelman, David is CEO of Creelman Research and writes, researches, and speaks on the most critical issues in human capital management. His clients include think tanks, consultants, academics and organizations in Japan, the US, Canada and the EU. He also advises organizations on human capital management issues. He has sat on many thought leader panels with the Human Capital Institute including Global Talent Management, Learning Strategies, and the ROI of Talent Management.